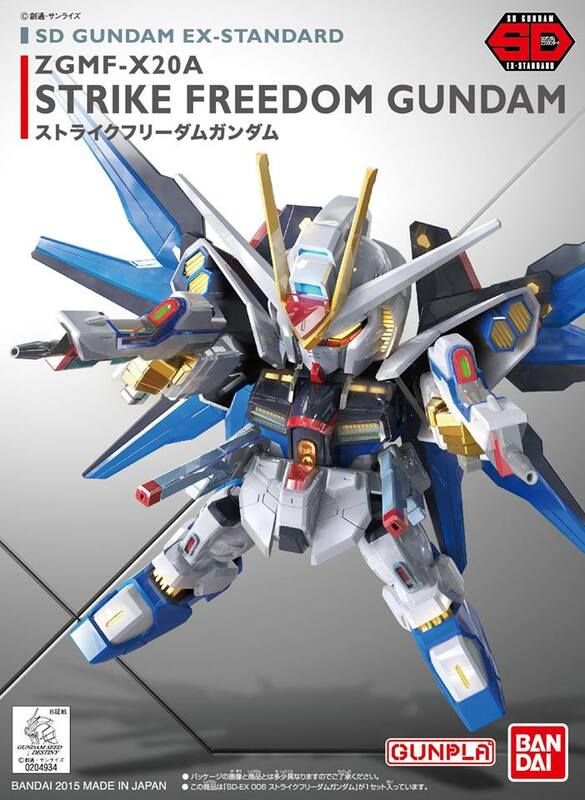 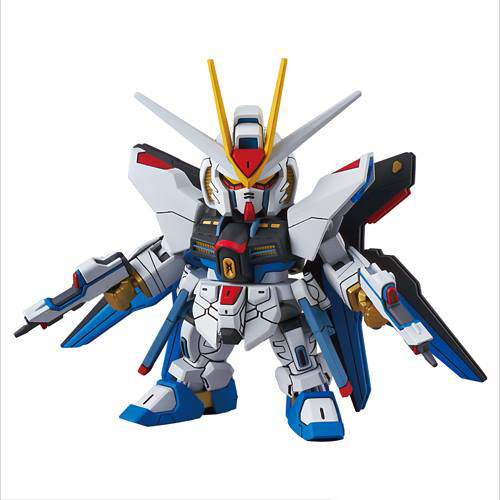 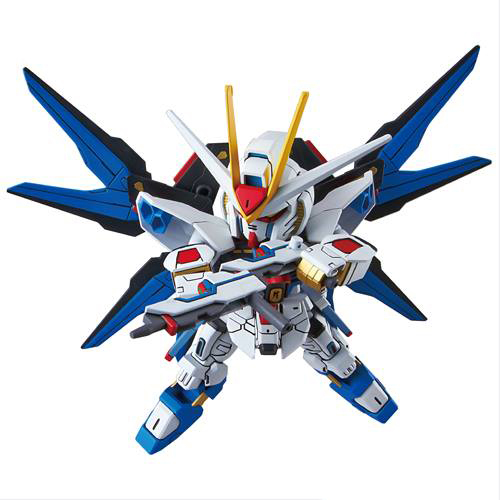 Part of the new SD Gundam EX-Standard product line the Strike Freedom Gundam in has been recreated with an emphasis on articulation and enhanced proportion. 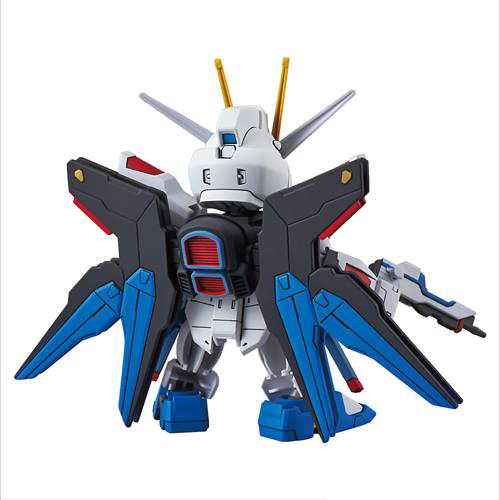 Weapons include beam rifle and shield. 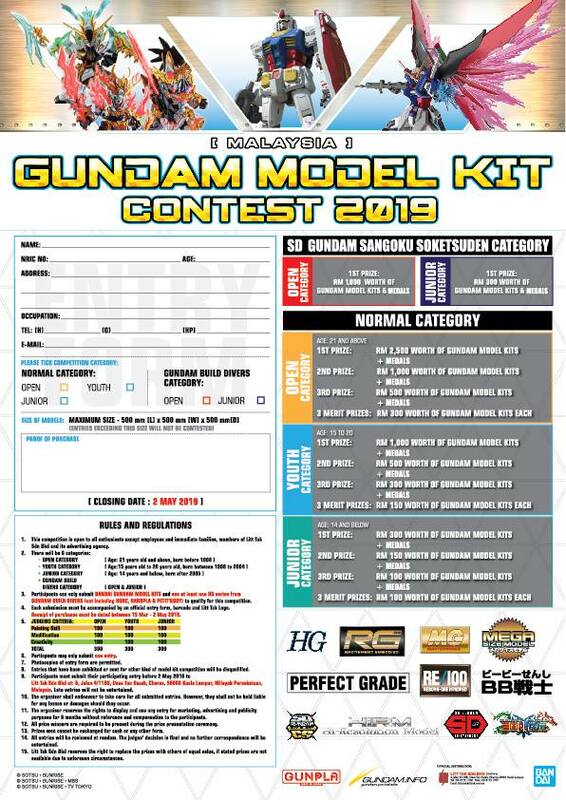 Runner x5, sticker, instruction manual.